Apple recently apologized for throttling older iPhones so they wouldn’t unexpectedly shut down but if you read between the lines their agenda couldn’t be more clear. First rule of Apple punditry: establish your street cred up front. Oh, you’re a fan of Apple products? Name their first three albums. And U2’s Songs of Innocence seems like it would be but is not one of them. Anyway, rest assured that no one loved Apple more than Evan Schuman up until this apology. …I was initially in Apple's corner when it confirmed that it had been deliberately slowing down older iPhones. But then they apologized wrong. But when Apple issued its "apology" on Thursday (Dec. 28), it went so far out of its way to avoid the actual issue that it killed any sympathies I had. Yes, the company does not say explicitly what it’s apologizing for in the sentence with the apology, but it seems pretty clear to the horny one they’re apologizing for at least one if not both of the things mentioned in the first sentence. Indeed, that "apology" made the case better than anything else that this all indeed had been a marketing scheme to push upgrades/sell more phones. When you read it in a Snidely Whiplash voice, sure. What should Apple have done? One, it should have announced the patch as a way to fix the shutdown problem. Apple says iOS 10.2.1 has reduced unexpected iPhone 6s shutdown issues by 80%. The patch was clearly announced as a fix for the shutdown problem. What Apple wasn’t clear on at the time was how it implemented the fix and what that meant for performance. 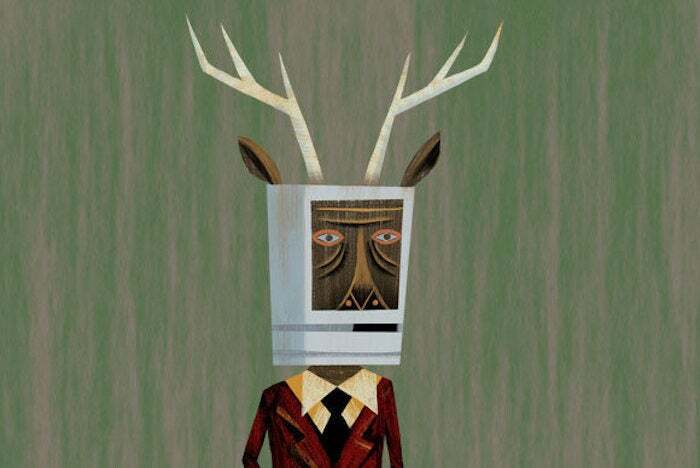 The Macalope doesn’t think people need more pop-up messages but some kind of indicator should have been added and that’s what the company has pledged to add this year. Three, it should have offered users free replacement batteries. Welcome to Gonecrazytown, population: Schuman. Other smartphone companies just let their customers’ phones shut down because they never issue fixes for older phones because Android. But Apple should give everyone free batteries, pop-up messages, a very specific apology and, also, free kittens even though kittens are a responsibility and not a toy, don’t tell us how to live our lives, Apple, if we want to neglect a free kitten WE WILL NEGLECT A FREE KITTEN. The car has now veered off Reasonable Lane. Here comes the crash through the guardrail and dramatic explosion over Insanity Gulch. Four, it should have announced that it will switch to better batteries, ones that can deal with five years of standard usage. And, presumably, not raise the price. Uh-huh, yeah. Remember when Samsung’s batteries asploded and they hemmed and hawed about it for a while but then finally apologized and everyone said “All is forgiven! Onward to the Galaxy Note 8!”? Oh, and by the way, Samsung’s apology letter never specifically says what they’re apologizing for, either, other than “we have not lived up to your expectations, or our own high standards.” Quite possibly they expected the asplosions to be bigger and were disappointed they were not. Apple's "apology" is like the guy who publicly calls you an idiot and then "apologizes" by saying, "I am sorry that you're an idiot." No, it’s not! “We apologize.” means the company recognizes it did something wrong. They could be clearer about what it was but that’s not the same as “I am sorry that you’re an idiot” no matter how desperately you want it to be. Schuman reads into (or around or under or beyond) everything Apple says in the apology in order to make it sound as sinister as it can be. Apple is saying that it would never "degrade the user experience to drive customer upgrades," but it never offers a plausible explanation for why it did what it did. It literally does exactly that. About a year ago in iOS 10.2.1, we delivered a software update that improves power management during peak workloads to avoid unexpected shutdowns on iPhone 6, iPhone 6 Plus, iPhone 6s, iPhone 6s Plus, and iPhone SE. It is true that the company is not beyond trying to have its cake and eat it, too. Or, more specifically, keeping the cake in an offshore holding company where it accrues more cake without having to pay the cake tax. Take, for example, the degradation in the upgradability of Macs. Apple makes most Macs such that the RAM and hard drives are not user-upgradeable. It then sells its own upgrade configurations at the time of purchase for considerably more than market prices. Yes, the devices can be made slimmer, sturdier and nicer-looking than any PC by making opening them the work of highly trained neurosurgeons. But the company figures most people don’t upgrade their devices on their own, which is probably true. What Apple does is make decisions that it feels generally make for better products and better user experiences and if they can make that work out for Apple, too, so much the better. There is cake, but there is also Apple going nom-nom-nom. So, did the company make this decision because it thought it would sell more iPhones? No. It made it, perhaps unilaterally in a somewhat patronizing manner, because it thought it was the best way to stop unwanted shutdowns of older phones. But did it think “Heyyy, this could work out for everyone!”? Yeah, maybe. That may not be exactly what we want and the company needs to improve on that, but it’s not the same thing as maliciously taking advantage of its customers.